Former Chinese judge Jianwei Fang doesn’t mince words about the country’s practice of using arrest and conviction quotas to measure the performance of the country’s police, prosecutors and judges. “It’s very stupid,” he says. The Communist Party would appear to agree. This week, the party agency in charge of legal affairs, the Central Political and Legal Committee, called on the country’s legal institutions to “firmly abolish” the inclusion of goals for arrests, indictments, guilty verdicts and case conclusions in assessments of staff, the official Xinhua News Agency reported on Wednesday. The demand from the committee appeared to reinforce a decision by the Supreme People’s Court in December to do away with court performance rankings based on quotas and lessen the importance of quotas in assessing performance. Mr. Fang, who worked as a junior judge in eastern China’s Zhejiang province in the mid-2000s, described the elimination of quotas as one of the most encouraging reforms to be announced following a major Communist Party meeting on rule of law in October. Conviction rates for criminal cases in China are well over 90%. It sometimes happens, according to Mr. Fang, that judges and prosecutors may suspect a defendant is innocent but still find him guilty and impose a suspended sentence in order to maintain good conviction numbers. via China’s Communist Party Sounds Death Knell for Arrest, Conviction Quotas – China Real Time Report – WSJ. Nearly one million couples have applied to have a second child since China eased its one-child policy in 2014, allowing couples to have a second child if either parent is an only child. The number of applications is in line with the estimate of less than two million annually by China’s National Health and Family Planning Commission, said Mao Qunan, a spokesman with the commission, at a press conference on Monday. Since China’s one-child policy was eased in a pilot program in east China’s Zhejiang Province in January 2014, couples nationwide may now have a second child if either parent is an only child. Mao said that the commission will put more effort toward improving the population monitoring mechanism and will stipulate relevant policies. “We will also collect public opinion on health care for pregnant women and children in a timely manner,” Mao added. via 1 mln Chinese couples apply to have second child – Xinhua | English.news.cn. China’s migrant worker population is getting bigger and older and includes more families living together, a government report released today shows. With 245 million migrant workers as of the end of 2013, China’s liudong renkou, or floating population, now amounts to one-sixth of all Chinese. That’s up from 236 million a year earlier, says the study, released on Nov. 18 by the National Health and Family Planning Commission. With China’s entire population aging, it’s no surprise that its migrants are getting older, too. The report says that the average age of migrant workers has gone from 33.1 years old in 2011 to 33.7 at the end of last year. And they are more likely to move with their families: The number of migrant worker parents bringing their children with them (6- to 15-year-olds) has risen to 62.5 percent, up 5.2 percentage points from 2011. That’s good news. China has 61 million “left-behind children”, the offspring of migrant workers who are separated from their parents and still living in the countryside, according to some estimates. They make up more than one in five of all youth in China and often suffer from psychological problems, including juvenile delinquency, and are prone to high rates of dropping out of school. The jump in children accompanying their worker parents may suggest that life for migrant families may be slowly starting to improve. China’s leaders have made urbanization a top goal and aim to lift the proportion of people living in cities from just over 53.7 percent now to 60 percent by 2020. To encourage that, China’s economic planners announced last November that they will start to allow migrants to get more access to urban benefits including pensions, health care, and crucially education for their children. Progress on the complicated and expensive reforms, however, has been limited. via China’s Aging Migrant Workers – Businessweek. Given that it takes years or even decades for population policies to make a difference, China better get on with any changes; and never mind being gradual about it. Reuters: “China is considering changes to its one-child policy, a former family planning official said, with government advisory bodies drafting proposals in the face of a rapidly ageing society in the world’s most populous nation. 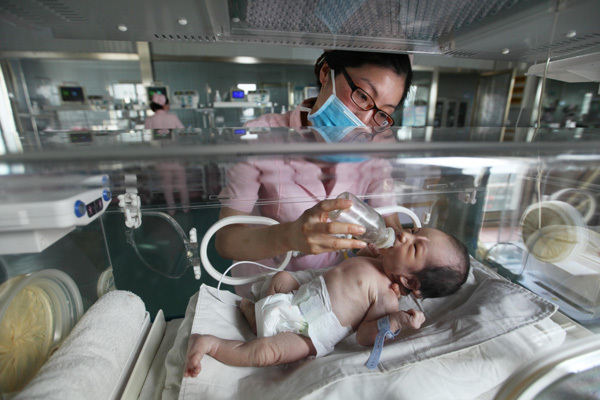 via China considers easing family planning rules | Reuters. BBC News: “A Chinese official has been sacked and others punished over the case of a woman forced to have a late-term abortion, state-run media report. An investigation showed that officials “used crude means” to persuade Feng Jianmei to agree to the abortion, Xinhua news agency reports. Ms Feng’s pregnancy was terminated at seven months because she had violated the one-child policy law. Photos of her with the foetus caused widespread condemnation online. China’s one-child family planning policy aims to control the country’s population, which now stands at around 1.3bn. Rights groups say the law has meant women being coerced into abortions, which Beijing denies. Ms Feng’s case has come to symbolise the extreme measures some officials take in order to meet population targets, reports the BBC’s Martin Patience in Beijing. 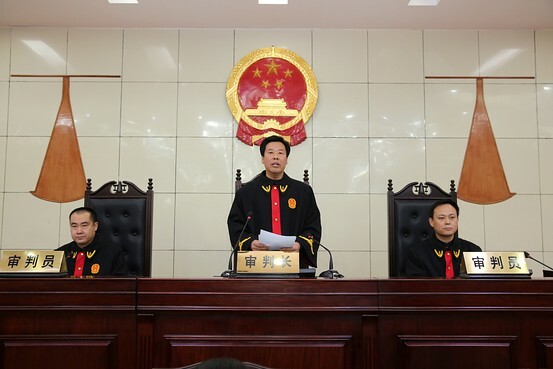 Officials in China’s north-west province of Shaanxi were punished for having “violated the laws of central and local government on family planning”, Xinhua reports. The head of the family planning bureau in Zhenping county, Jiang Nenghai, had been sacked. Another family planning official had also been given “administrative demerits”, Xinhua said. Other officials in connection with the case had also been punished, Xinhua said, without elaborating further. “According to the investigation, while persuading Feng to receive the abortion, some staff of the township government used crude means to violate her intentions,” Xinhua says. “There was also no legal basis for the township government’s demand that Feng and her family pay a deposit of 40,000 yuan [$6,300] for a certificate allowing her to have her second child,” it added. via BBC News – China punishes officials over late-term abortion case.